Clinical Psychologist and mentor. Also work with groups and lead this section at the Triest Sarig Clinic. 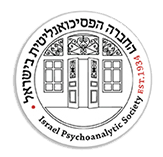 Graduate of the Primary Mental States Studies at Tel Aviv Psychotherapy School. Former founder and director of a rehabilitation hostel for mental patients.